It is an esteemed desire of a woman to look beautiful. You always try different methods to improve your skin appearance and in the initial process of enhancing your face, you generally try home remedies. However, as time passes and the process of aging starts these remedies do not work. So, you need some other modern methods to add value to your skin and one of the most efficient and modern methods of rejuvenating your skin are Ultherapy which has achieved recognition and has been approved by the FDA. Ultherapy has achieved much recognition as the most efficient and advanced method of skin tightening in the present times. 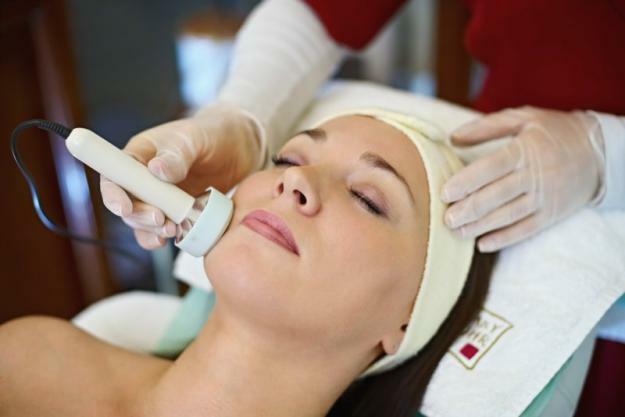 It is a non- surgical procedure which makes use of ultrasound energy which goes deep inside the tissues to stimulate the growth of collagen and skin’s natural healing process. As you know that collagen is very important for your skin. Ultherapy works beneath the skin’s surface for good results. Ultherapy procedure lasts between a time range of 30 and 90 minutes. The patient requires a minimum time for recovery after the procedure. It helps in keeping your skin firm and lifted that imparts you a young look. There is no need for any special preparation before and after the procedure. You can follow your regular routine of drinking, eating and exercising. However, you should remove the makeup and any other skin product from the area which is going to be treated in Ultherapy. There is no use of needles and injections in the process. It is a painless procedure which does not cause pain. Ultherapy treatment which uses ultrasound energy for promoting skin tightening does not hurt its patients but the patients only feel heating sensation and a sense of tingling. Who Should Go for Ultherapy? It is the best solution to lift your face and it defeats your aging process which is characterized by sagging of skin, wrinkles on the face, neck, chest and the eyebrow area starts drooping, development of crow’s feet around your eyes. All these factors diminish your beauty and you look much older. You can fix an appointment with a reputed dermatologist to lift your skin naturally. A proper consultation is very essential in which you can discuss with him about the areas of your skin for which you need improvement. It helps the dermatologist to assess the success of your treatment and to provide you complete satisfaction after undergoing the therapy. Some patients observe results in a few days but proper results can be viewed after 8 to 12 weeks. By the end of the third month, most of the patients experience an alarming youthful look in their skin and they start getting compliments for the enhanced look. Ultherapy provides a better alternative for a charming appearance as compared to other cosmetic surgeries. It is one of the best choices as it gives freedom from a wrinkled and sagging skin which defeats your aging process. It is a non- invasive process with no pain and discomfort. It helps you in getting a young and renewed appearance and people get stunned with your mesmerizing looks.